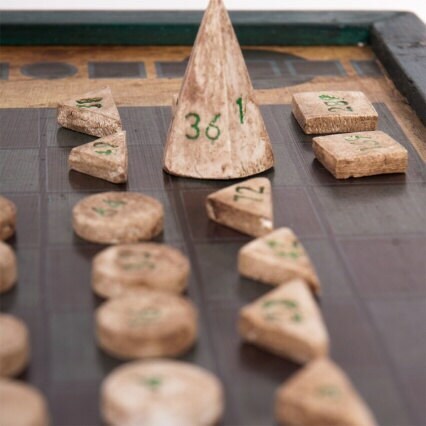 Rithmomachy (or Rithmomachia, also Arithmomachia, Rythmomachy, Rhythmomachy, or sundry other variants; sometimes known as The Philosophers' Game) is a highly complex, early European mathematical board game. The earliest known description of it dates from the eleventh century. A literal translation of the name is "The Battle of the Numbers". 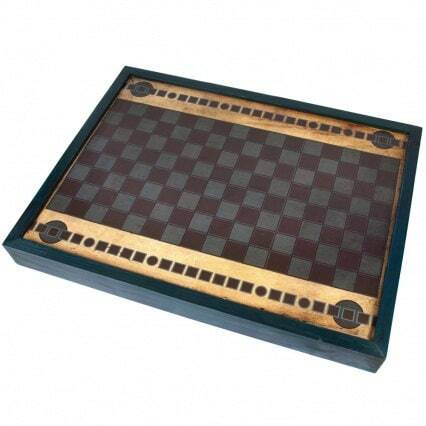 The game is much like chess, except most methods of capture depend on the numbers inscribed on each piece. Shipped quickly and arrived in the nick of time! 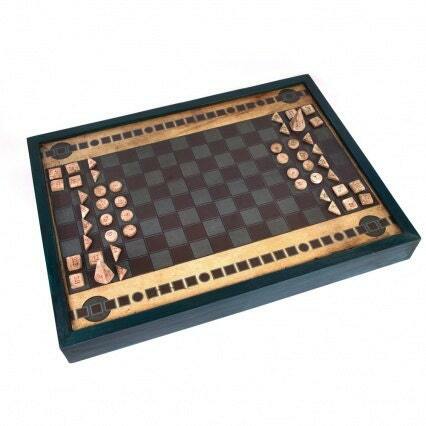 Beautiful, high quality board game. The pieces are a little hard to read but we've spent several entertaining nights learning to play. Hours of mathematical fun await. Thank you! A lovely, unusual product. Hard to find anywhere else. Slight imperfections, but these did not matter as it was a hand made product. Received promptly.